I'm a Whole Foods shopper. I feel like I need to say that somewhat sheepishly. Yes, it's more expensive than other mass grocery stores, but I like the quality products I can find there. 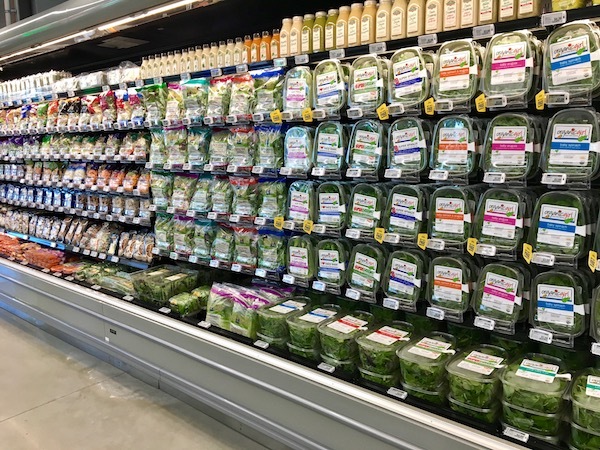 The organic, healthy products are everywhere throughout the entire store, not just relegated to one tiny section. 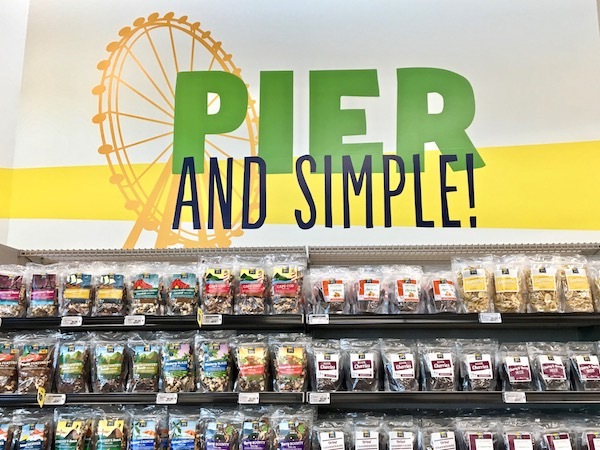 Now there's a Whole Foods 365 in Santa Monica, bringing us lucky Los Angelenos westsiders the same quality ingredients, but for a lower price. This isn't Los Angeles' first Whole Foods 365. We got one in Silver Lake last year. I wanted to go. I really did, but Silver Lake is a trek from the beach. My waiting paid off this week when 365 opened on the corner of Cloverfield and Pico in Santa Monica. 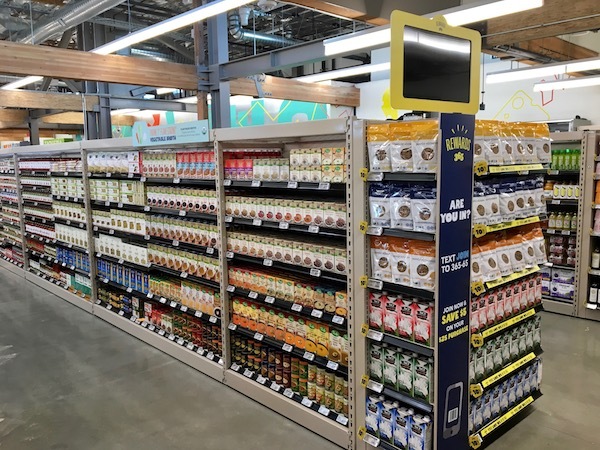 The drill is similar to Whole Foods where there's no artificial colors, flavors, sweeteners, preservatives or hydrogenated oils in the store. That's my jam right there. They also have organic produce, along with conventionally grown products. I buy a few conventional items, but always make sure to go organic when buying anything on the The Dirty Dozen list, you know the ones with the most reported pesticides (I'm looking at you strawberries and spinach). There's a very European weighing system where you take your fruit or vegetables to a station to weigh and price, DIY-style. I scored some great deals on some of my favorite paleo items. Wellshire's sugar and nitrate free bacon was 2 for $6. I had just purchased 1 package in Whole Foods for $4.99. Good thing you can freeze bacon! Organic cauliflower rice was $1.99, another good deal, and time saver. Organic lemons were just .65 each, where I've paid as much as .99 each for lemons in Whole Foods. Whole Foods 365 charges just .20 for a lime in comparison to the .39 I recently spent at its big sister. I also liked that there was a whole range of avocado prices ranging from .99 to $2.00, depending on the size. So yes, there are definitely savings to be had at 365. I also like that they try and work with as many local food purveyors as possible. When I went for the opening, Santa Monica Brew Works was sampling their PCH brew that they produce exclusively for Southern California Whole Foods. And by the way, you do want to sample their pale chocolate heaven brew. Just buy a 6-pack. You'll love it. There's both liquor and wine at Whole Foods 365 Santa Monica. Not only that, but they have a fancy wine scanner where you can learn all sort of info. 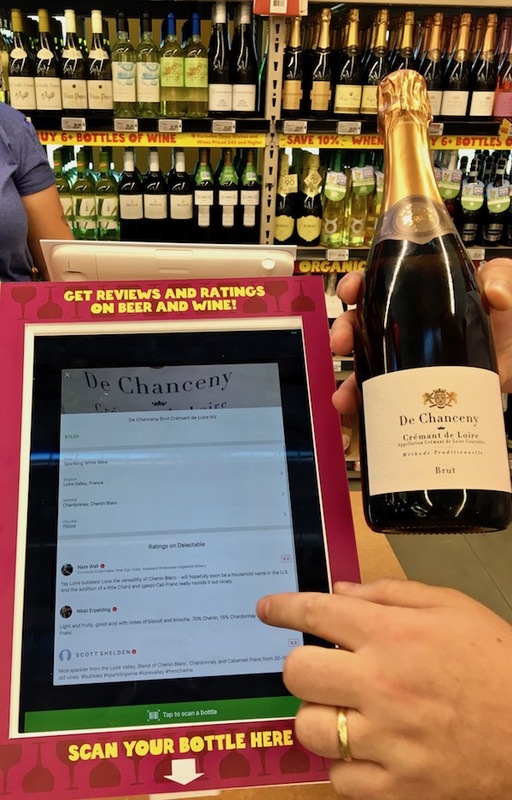 Put your preferred bottle next to the scanner and you'll learn about the taste, good food pairings and even see reviews from others who have tried it. It's your personal wine concierge. Whole Foods 365 will also reward you for shopping with them. When you sign-up for their Rewards 365 program, you'll get discounts and rewards with each shopping experience. I got $5 off my first $25+ purchase. Score one for more savings! 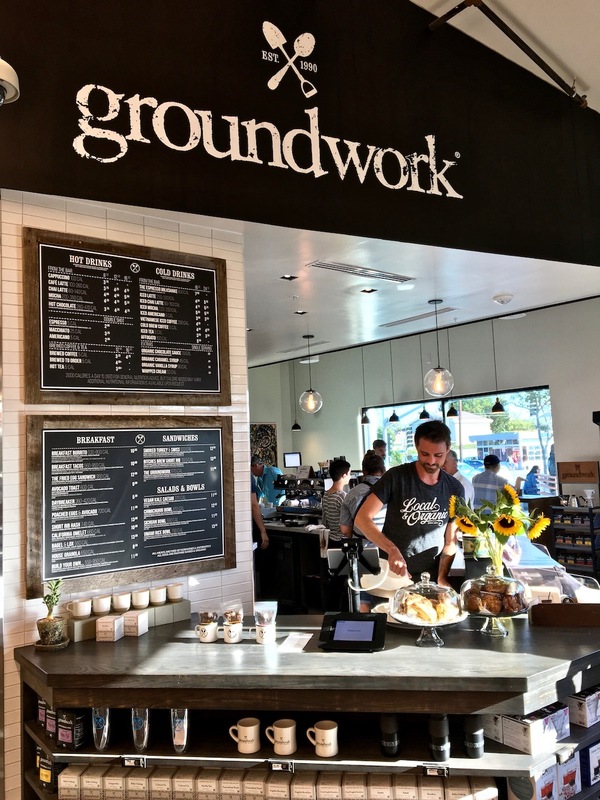 Since Angelenos can't go more than 5 minutes without coffee, there's a groundwork on site to get your fix. 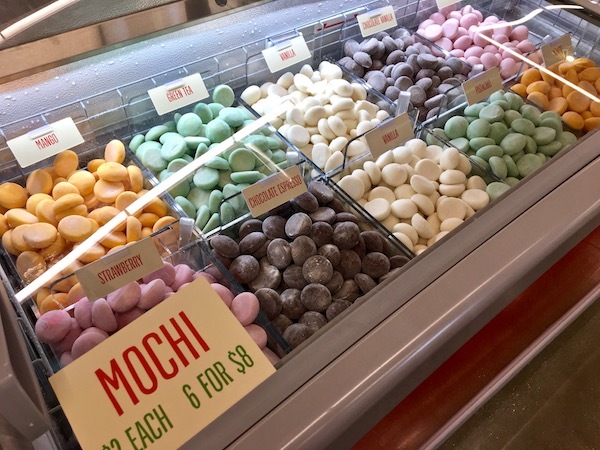 There's also a Taqueria in the store for any Mexican cravings, or you can just use the grab and go section to pick-up something else of your choosing. Outside the courtyard is an Asian Box fast casual restaurant for some tasty Vietnamese street food. So do I have anything negative to say about Whole Foods 365? There's no meat or seafood counter. 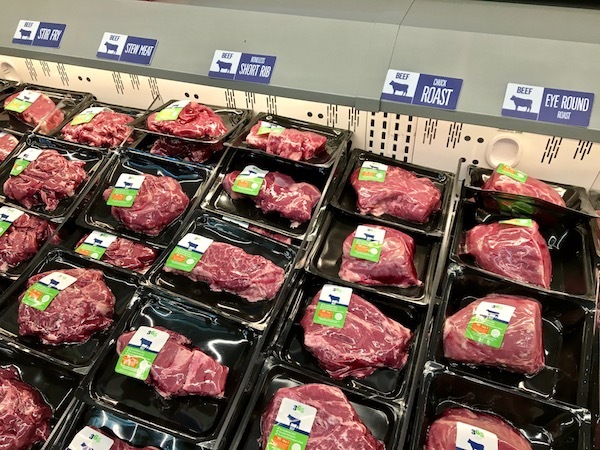 It's all pre-packaged and sold fresh or frozen. What you see, is what you get. They also don't have all of the name brands you might be used to seeing in Whole Foods. I was missing a few of my favorite coconut yogurt brands, but once they get settled, I plan on finding the dairy man, and putting in my request. There are currently 5 Whole Foods 365 stores in the US with plans to roll out many more across the country in the coming years. Check out their website to see if there's one near you to get in on the quality ingredients and good prices.